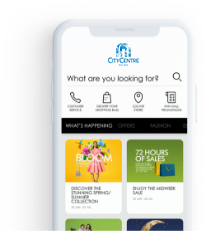 To make your visit to City Centre Bahrain a memorable and care free experience, offer an array of services specially designed to care of customers' needs and help them shop with ease. Visitors to the Mall can make use of these services by contacting any of the two customer-service desks, which are located on the ground floor. City Centre Bahrain offers a complimentary shuttle bus service allowing tourists a pleasant and easy journey between hotels and City Centre Bahrain. Shuttle services are available to all visitors, between Wednesdays to Saturdays, on scheduled shuttle timings between 9am to 9pm. For more information about City Centre Bahrain shuttle bus services and trip timings, please visit the mall’s customer service desks or call +973 17177777. City Centre Bahrain offers free shuttle bus services for Saudi residents every Friday and Saturday, between 9am – 6pm, allowing visitors a fun-filled day of world-class shopping, dining and entertainment, all under one roof. To know more about this service, please contact our customers service or call +973 17177771. No smoking inside the mall. No kissing or overt displays of affection. No dangerous activities (i.e. Sports games, rollerblading or skate boarding). Convert any currency of your choice using live up-to-date rates. Log on to XE.COM Foreign Exchange website.